Companies are now facing a growing security problem: data leakage – exposure of intentional or accidental information – which is closely related to security in the collaborative workspace. Data can escape the control of an organization’s IT department in many ways: poorly protected servers, workstations, laptops, mobile devices or mail messages, and the increasingly sophisticated tools used by cybercriminals to destroy or steal valuable information. Factors that expose corporate information to loss or theft are, from technical faults and malicious attacks to human errors, among the latter the most common are the loss of mobile devices and external storage. The use of mobile devices and the tendency to share terminals for personal and professional tasks are also some of the main causes of increased vulnerability of information..
ad publicity caused by data leakage can lead to reputational damage, loss of customers, and sometimes even ruin for companies that are victims of it. Globally, 78% of corporations have suffered data leaks in the past two years. In 2015, Spain became the 19th country in the world, and the eighth in Europe, as a source of cyber threats. For companies, a data leak is a demand and often a bankruptcy. All this makes essential the protection of sensitive data such as those related to industrial property, strategic business information or personal data of employees and customers. Businesses in any industry must take into account a multitude of legal requirements related to the protection of personal information and security in the exchange of sensitive information with customers and suppliers. The most effective against information leakage is to prevent, once the data has been “lost”, it is very difficult to recover it or prove that it has reached third parties (competition, “enemies”, etc…). Evotec’s DLP Audit services will allow you to know how information is used and transmitted within your organization, and how to protect it from misuse, even by detecting possible non-malicious processes in the company but compromising your security. It is much less expensive to prevent an incident of data loss or theft than to resolve it once it has occurred. Know what data your employees manage and to which they access. 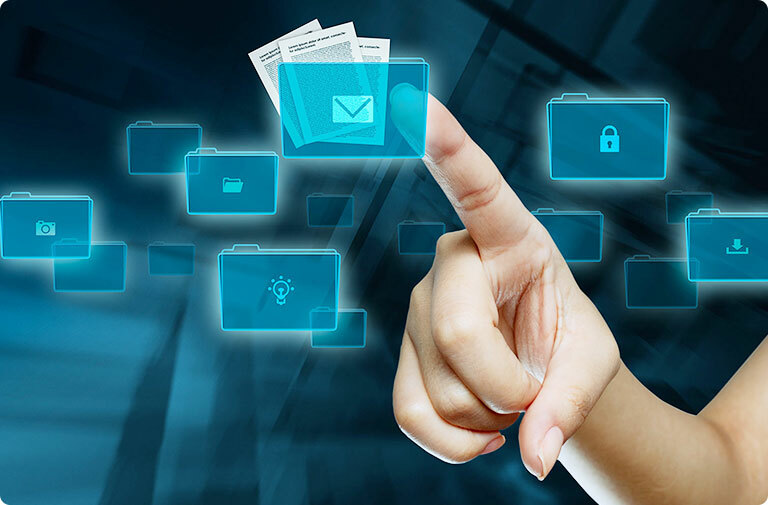 Clearly identify where sensitive information is stored. Identify what information to keep and what not. How can you prevent information leakage within your company? The use of secure passwords must be mandatory for all computers. We recommend encrypting both hard disks on laptops and external storage devices (USB drives, etc. ), which can easily be stolen or lost. Training your employees so they do not fall into the most common threats such as company email phishing and limiting the use of email and personal social networks in company systems will help greatly to avoid potential leaks. Having protected and monitored network connections of the company is critical to prevent possible attacks to the company network as the management of users. Using a DLP security solution that includes anti-virus, firewalls, browser protection and proven protection against online threats among others is key against loss of information. These solutions monitor and alert you about the most common risks. use some software to manage mobile devices given their boom and the BYOD tendency in the companies (Bring your own Device), to use the smartphone or personal tablet for working. it is advisable that your company is verified by an expert company like Evotec to be able to guarantee all the actions mentioned above and to establish an internal security audit from time to time where all processes are reviewed and improvements are made.